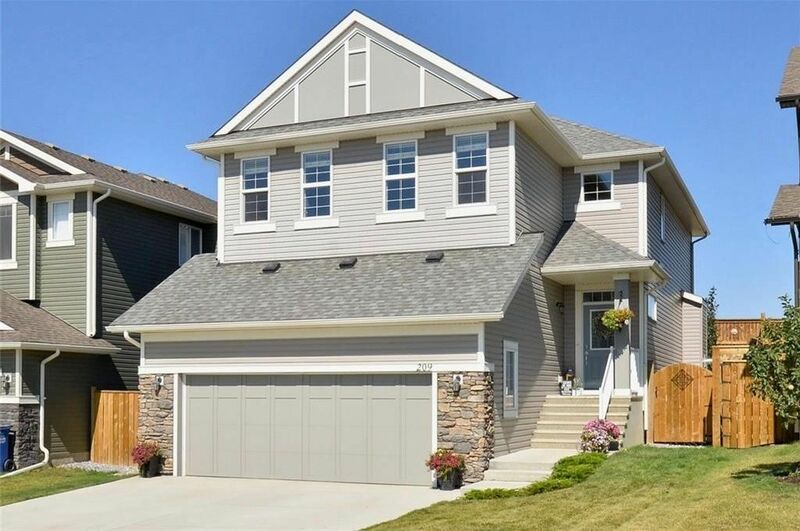 Come and see this spacious, immaculate, upgraded 4 bedroom home at 209 Heritage Blvd in scenic Cochrane. Awesome value - you can really feel the room in this home - not a cramped corner anywhere. The central kitchen w/ huge granite island is the focal point of the main floor, adjacent to a large family rm w/ fireplace and open eating nook for a great family living space. Full ht cabinets, upper end SS appliances and a large pantry complete this great eating/entertaining space. An open den, 2 pce bath, & mud room w/ locker style storage cubbies & a bench round out the main floor. Upstairs you will find 3 great sized bedrooms and a central bonus room, separating the kids' rooms from the master. Upper floor laundry & 2 full baths (including 5 pce ensuite) complete this level. The fully finished lower level offers a large 4th bedrm, 4 pce bath and huge rec rm for the perfect games/media area. Fully fenced and landscaped with excellent curb appeal, this home is in tip-top shape and is waiting for you! Watch the video to see all that this home has to offer!